Anish Kapoor, ‘Breathing Blue 3’, 2017. Etching, edition 29 of 39, 72.4 x 96cm. Courtesy: the artist and Gow Langsford Gallery, Auckland. Associated with the sea and sky that surround us, the colour blue has seduced artists and their audiences for millennia. Unlike red or yellow ochre, the blue we see day to day cannot be turned into a pigment. Instead artists have turned to rare and precious sources to create the colour. The captivating colour has seen artists from Raphael to Pablo Picasso, Wassily Kandinsky to Yves Klein dedicate periods of their practices to studies in blue. 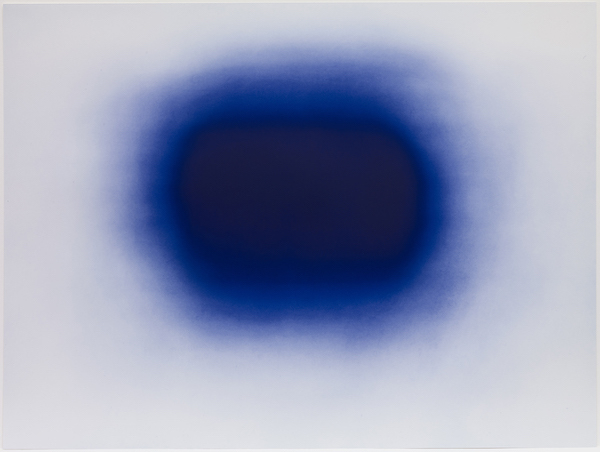 This summer, Gow Langsford Gallery applies a blue filter to present Almost Blue, an exhibition which brings together works by international heavy hitter Anish Kapoor alongside prominent Australasian artists including Dale Frank and Max Gimblett.